Ladies and gentlemen I am a sports fan. I love the NBA the most. I am not going to lie. I am a basketball junky and I can watch the NBA, college and even high school. I love the sport of basketball. Having said that, as I said I love sports. And that means the NBA, NFL and MLB. Yes I feel baseball can be very boring and slow and I feel the commissioner of MLB needs to speed up the game. Something he is slowly trying to do. For instance he has helped eliminate the situation where a pitcher wants to walk a batter they no longer have to make four pitches to the plate. They can just notify the umpire he wants to walk a batter and the batter just goes to first base. And other things are in the planning stages to make Major League Baseball not so boring. But one thing for sure I love high scoring MLB games with lots of homers and the pitcher not messing around on the mound taking for ever to pitch. If the game becomes more quicker it may help young inner city kids get interested in baseball again. And of course the NFL is #1 when it comes to popularity in America. It is a tremendously popular sport and we all know this to be a fact. Speaking of a fact, it is a fact that a man who spent his entire career with our Seattle Mariners should have been in the Baseball Hall Of Fame years ago. Hell there is a freakin award named after Edgar Martinez for the best designated hitter in baseball!! PLUS their is street here in Seattle named after Edgar Martinez! Come on ladies and gentlemen and sports fans. Edgar should have been in the HOF a long time ago but he is FINALLY in the HOF!! He goes in the Hall with ( P) Mike Mussina, the late (P) Roy Halladay and a player who was the first player ever to be voted in the HOF unanimously, closer Mariano Rivera. Harold Baines was named to the Hall a few months ago. Why Baines was named to the Hall and not Fred McGriff is beyond me sports fans. Truth be told, another player who spent many years here in Seattle playing for the Mariners, Ken Griffey Jr. should have went into the Hall picked by EVERY person who had a vote. Who ever did not vote for Grif must be on drugs!! Martinez was in his final year of being on the ballot. He obtained 85.4% of the votes. Edgar won two batting titles and hit .312 with 309 home runs over 18 seasons with the Mariners. He hit .300 1o times and he joins Frank Thomas in the Hall as a player who spent most of his career as a DH. Oh yeah, Mariano Rivera spent his entire career with the New York Yankees. By the way, Martinez batted very well against Rivera going 11 for 19 (.579) and against the late Halladay he went 8 for 18 (.444) and he went 23 for 75 (.307) against Mussina. WOW! 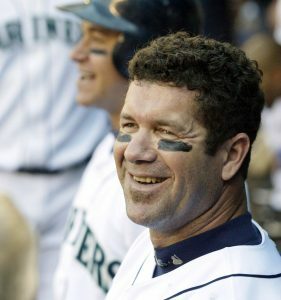 I hope to line up a interview soon for “Sports Inner City TV” with the great Hall Of Fame member Edgar Martinez. It is GREAT he finally made it to Baseball’s Hall Of Fame!! Ummm I wonder if Barry Bonds will ever in the Hall? Next PostHoward Schultz May Run For Prez! Please Stick To Selling Books.. Please!! Pesident Obama Announces Osama Bin Laden Is Dead. Is Leonardo DiCaprio & Rihanna A New Hot Couple?